Our international students live in on-campus dorms where they learn to live independently, build friendships and strengthen study habits. When students aren’t in class, we encourage them to explore by being involved in extracurricular clubs, community activities and sports. We offer a rigorous college prep curriculum that strengthens critical thinking skills and teaches students how to apply their knowledge to every day situations. Students in our international program come from around the world to attend Nebraska Christian. Have a question or want to know more? We’d love to chat with you. Ready to be a part of Nebraska Christian? Start your application today! By living on-campus, our international students get to be a part of nearly every activity at Nebraska Christian. 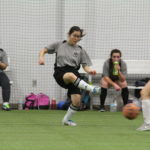 Students have the opportunity to participate in a variety of sports, clubs and activities. Making new, life-long friends is one of the many benefits of our program. 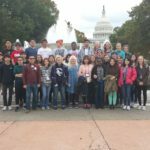 Students live, learn and experience a new culture as they build relationships with local and other international students. We encourage students to get involved in both on-campus and community events. From sports and on-campus clubs to local volunteering opportunities, our students have loved becoming a part of our community. We strive to academically challenge our students, encouraging them to work hard and value education. The University of Nebraska is one of the few universities in the U.S. that allows international students who graduate from any Nebraska high school the advantage of paying in-state tuition. Our Intensive English teaching supports several areas corresponding to a student’s level of English proficiency. Ready to be a part of Nebraska Christian?